What is scar correction surgery? Scars are formed as part of our natural healing process when the skin is cut or injured. Scar correction or scar revision surgery is undertaken to change the appearance of a scar making it less noticeable and/or easier to conceal. Dermabrasion. This employs the use of a machine to remove the top layers of the scarred area of skin. As the skin surface heals the scars become less obvious. Laser resurfacing. This employs the use of high-energy lasers that penetrate the skin to a precise depth and remove scar tissue. This treatment is particularly useful for the improving pockmarks caused by acne. Excision. 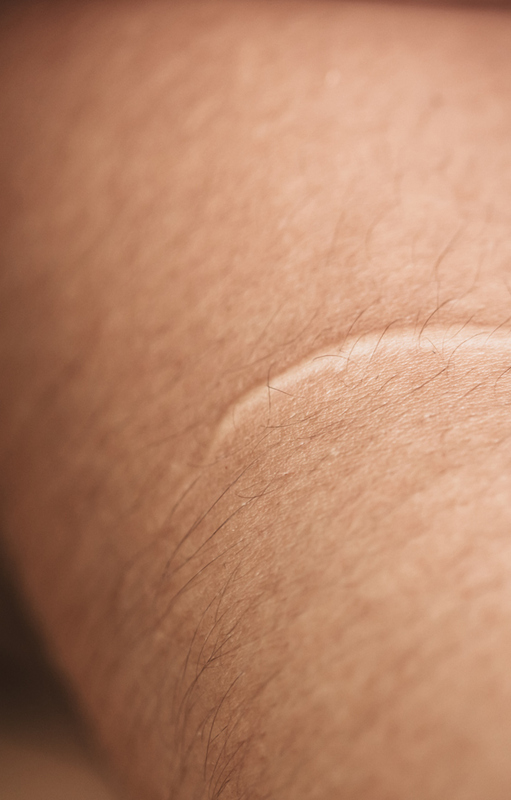 This is when the scar is surgically cut out and then repaired with stitches to produce a scar that is less noticeable and thinner. Z-Plasty or W-Plasty. This technique is designed to realign scar tissue and is used to best effect where scars run across a crease in the skin or the skin has tightened or contracted as a result of burns or other injuries. Skin graft and flap surgery. These are more complex surgical procedures that used to address scarring involving large areas of skin or for contractures that have resulted in the skin being restricted in movement causing severe pulling. Where is it done? : Your scar correction surgery will be performed at the brand-new Honeysuckle Day Hospital in Newcastle, a fully licensed and accredited day hospital which specializes in cosmetic surgery. Length of surgery: The length of the surgery will be dependent upon the complexity and the size of the scarred area being treated. Type of anesthesia: General Anaesthesia, Twilight Sedation coupled with Local Anaesthesia or Local Anaesthesia. Day surgery or inpatient stay? : Day Surgery. Costs will vary depending upon what is required for your individual treatment as well as the complexity and expected duration of surgery and the type of anesthesia. Dr. Verma will discuss this with you at the time of your consultation and his team will provide you with a detailed cost estimate after your visit. Do I qualify for scar correction surgery? 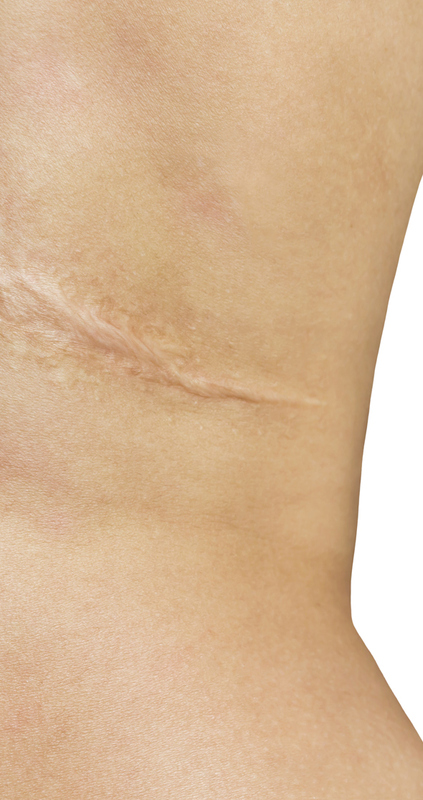 Scars form as part of the natural healing process as a result of a cut, injury or surgery. Depending upon the type as well as the location of the scar, you may be suitable for scar correction surgery. Who is a good candidate for scar correction surgery? The type and severity of the original injury that caused the scar. The location of the scar, it’s size and depth. Ethnicity – as different skin types scar more easily and don’t heal as easily. The original surgical technique that caused the scar. If you are a diabetic. During your consultation Dr Verma will take a full medical and family history and discuss your concerns with you. He will also examine your scar/s and will then be able to discuss whether you are a suitable candidate for scar correction and explain the different surgical and non-surgical treatment options (or combinations of both) and discuss with you which is the best for your individual needs. He will also take photographs during your consultation. This is an important part of the process and allows for pre and post op documentation as well as an ongoing review of the healing process. This will be dependent upon the area being treated. The type of anesthesia required will be determined by the complexity of the surgery and the scarred area being treated and maybe General Anaesthesia, Twilight Sedation coupled with Local Anaesthesia or Local Anaesthesia. Dr. Verma will discuss this with you at the time of your consultation. What are the side effects of scar correction surgery? The occurrence of such complications depends mainly on whether you smoke, your general health status, how your body heals, as well as your post-operative recovery. Dr. Verma will discuss all risks and complications with you during consultation, as well as techniques and medications which can minimise risks. 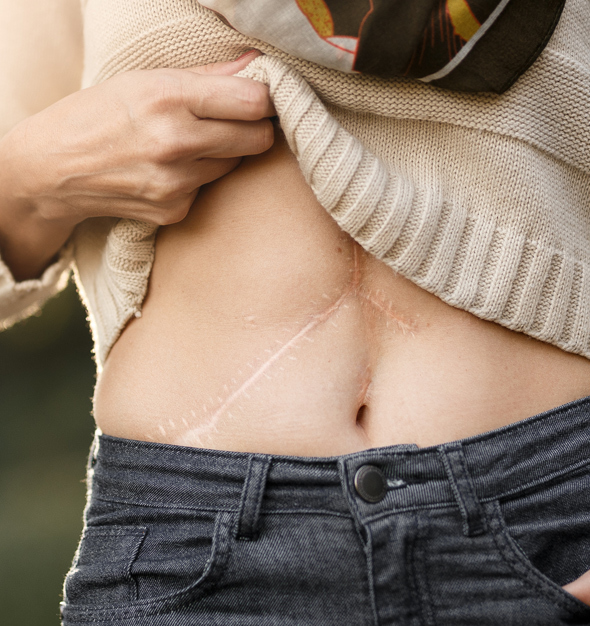 What are the risks and complications of scar correction surgery? The formation of haematoma beneath the wound. Recurring of keloid of hypertrophic scars. Lack of improvement in appearance of scar site. Need for further surgery to treat complication. This will be dependent upon the size and location of the scar/s and complexity of the treatment. Results will vary for each individual and will become visible after your tissues heal when swelling and bruising subsides. What will be your follow up a schedule? During your follow up visits, Dr. Verma will be taking photographs in order to document healing during follow up visits. How long do the effects of scar correction surgery last for? Correctly performed scar correction surgery results should be lifelong.